The Wartburg Ritterchor was founded in 1997 and follows Wartburg’s rich German Lutheran tradition of choral singing. Translated from German to English, Ritterchor means “Knights Choir.” In connection with Wartburg’s heritage Ritterchor seeks to honor the Wartburg Castle, where Martin Luther once lived disguised as a knight. The goal of the Ritterchor is to provide students with the opportunity to further develop their musical gifts and talents. Ritterchor is open to all male students at Wartburg College. The group performs a variety of literature for events on and off campus. While working in a fun and friendly environment, Ritterchor members seek to produce a sound distinct and unique to a superior men’s choir. The Ritterchor has been invited to be the featured choir at various festivals and concerts throughout the Midwest. The Ritterchor has also combined forces with other performing ensembles to present masterwork concerts, including J. S. Bach’s Magnificat, Vivaldi’s Gloria, and Faure’s Requiem. 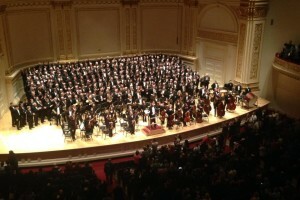 In 2017, members of the group performed a sold out show called The Glory of Freedom, with Dr. Lee Nelson as director, at Carnegie Hall in New York City. The Ritterchor also performs in Wartburg’s annual holiday concert, Christmas with Wartburg. The Ritterchor has produced seven compact disc recordings. Luis Jimenez, Kansas City, Mo. Evan Larson, Saint Peter, Minn.
Teddy Flatley, South Saint Paul, Minn.